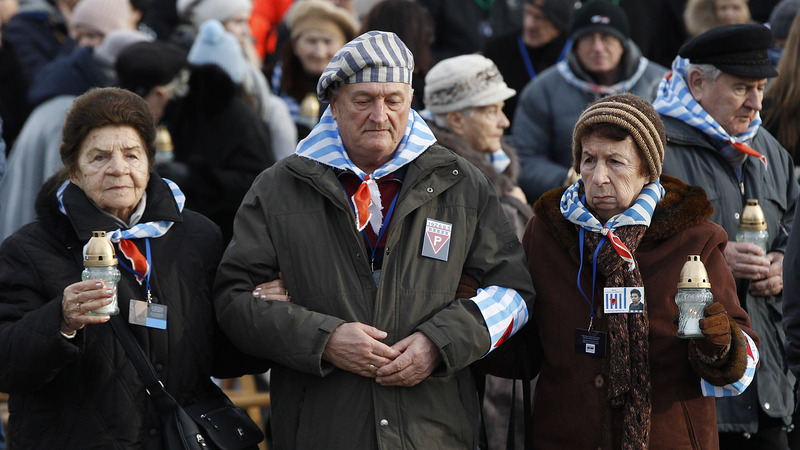 Holocaust survivors visited the former Auschwitz concentration camp on International Holocaust Remembrance Day. Survivors gave testimonies and Poland's chief rabbi read out the names of all the concentration camps, where many of the 6 million Jews who died in the Holocaust were killed. Over a million people were killed in Auschwitz alone, most of them Jews. Poland's prime minister and the ambassadors of Israel and Russia also attended the ceremony. Survivors of Auschwitz at the former concentration camp Sunday. "People growing up today must know what people were capable of in the past," German Chancellor Angela Merkel said in her weekly video address on Saturday. "And we must work proactively to ensure that it is never repeated." "To remember these men and women — those who perished and those who survived — is to strive to prevent such suffering from happening again," he wrote in a statement. "Any denial or indifference to the horror of this chapter in the history of humankind diminishes all men and women everywhere and invites repetition of this great evil." 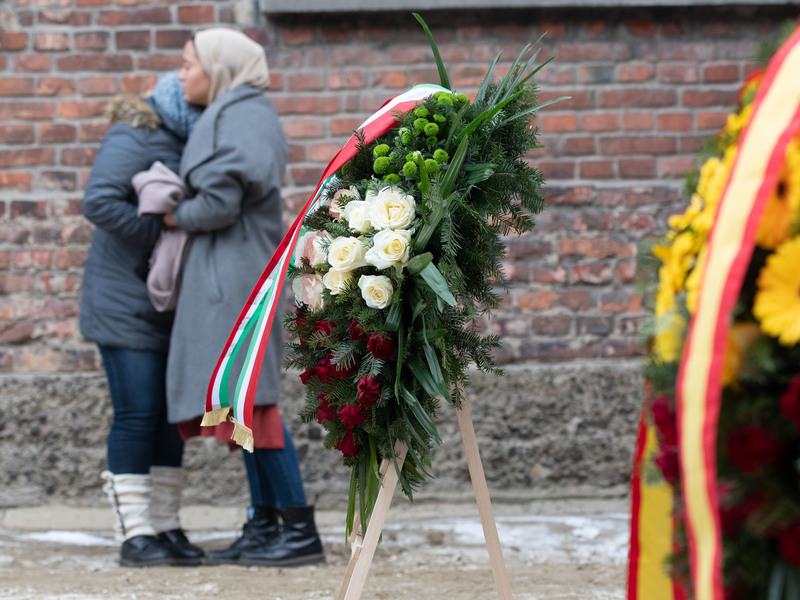 Sunday's ceremony memorialized all those who died at Auschwitz, yet a group of far-right Polish activists gathered there and falsely claimed that the Polish government was remembering only Jews. 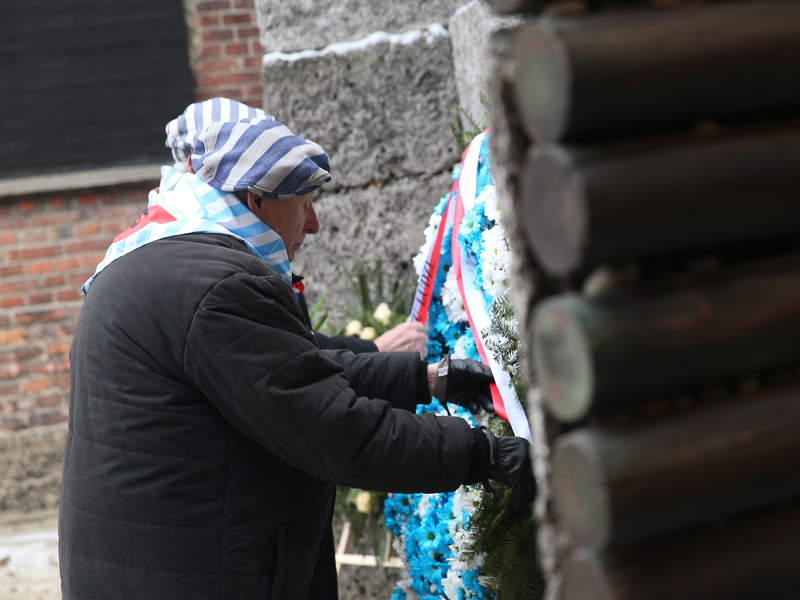 A former prisoner pays tribute during the 74th anniversary of the liberation of Auschwitz. This year's anniversary comes amid growing concern among survivors and world leaders alike that the Holocaust has begun to slip from international, collective memory — particularly among younger generations. In remarks both before and on the day of the anniversary, leaders also lamented recent spikes in hate-inspired violence. According to a poll released Sunday by The Holocaust Memorial Day Trust, five percent of adults in the United Kingdom don't believe the Holocaust happened, and 64 percent either don't know the number of Jews murdered or underestimate that number. 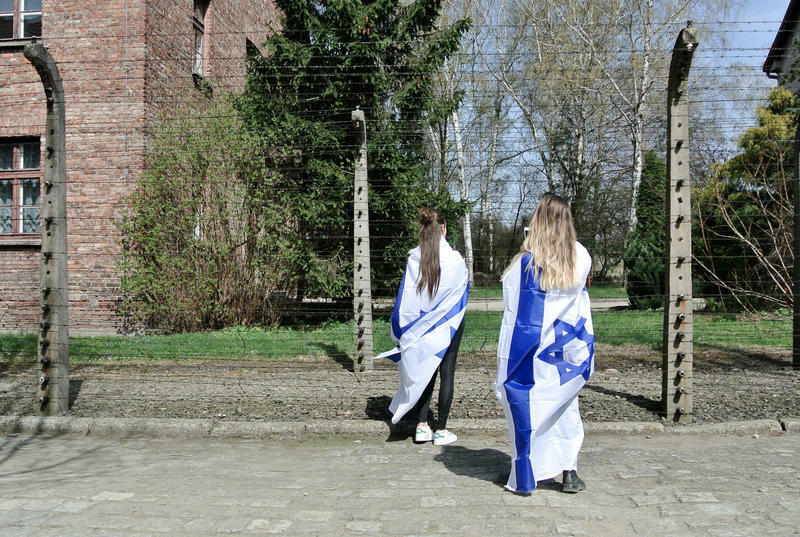 In a recent op-ed for the newspaper Die Welt, Germany's foreign affairs minister, Heiko Maas, wrote that with fewer people directly connected to the past, Germany must continue to teach its young people about the Holocaust. Two people mourn at the former concentration camp Auschwitz. "Our culture of remembrance is crumbling," Maas wrote. "It is under pressure from extreme right-wingers." 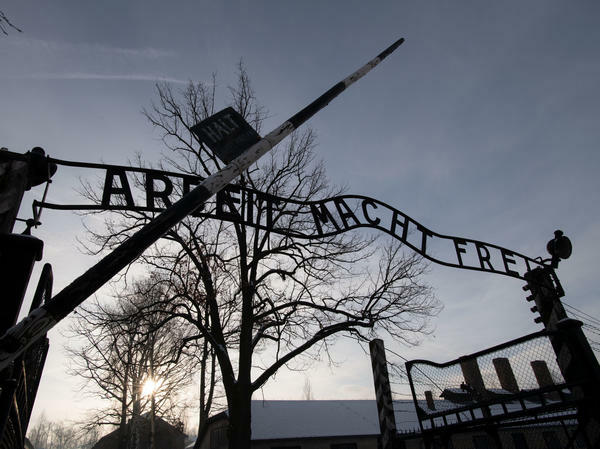 In the United States, a poll from the Conference on Jewish Material Claims Against Germany conducted last year finds four out of 10 people don't know what Auschwitz was. That proportion rises to two-thirds for millennials. Canadian Prime Minister Justin Trudeau released a statement Sunday remembering victims of the Nazis and acknowledging Canada's own history of anti-Semitism. "The threats of violence, xenophobia, and anti-Semitism still exist today," he wrote. "The murder of eleven Jews at the Tree of Life synagogue in Pittsburgh ... is fresh in our minds." Israel's Ministry of Diaspora Affairs released its Global Antisemitism Report Sunday, saying 13 Jews were murdered in fatal attacks last year, the highest number since a wave of attacks on Argentinian Jews in the 1990s, the AP reports.